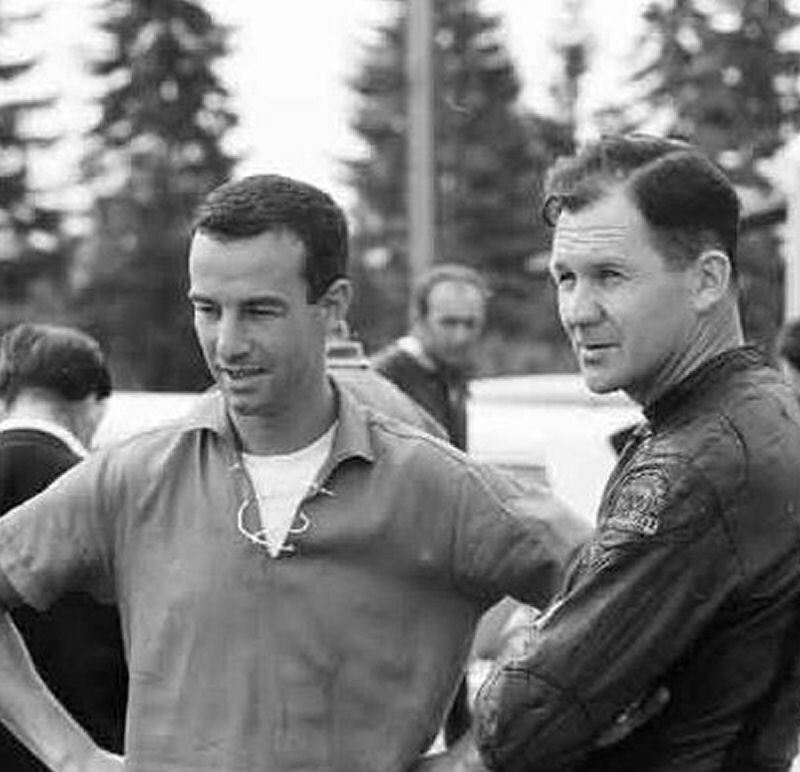 Pete Kellond’s racing career began at Abbotsford Airport in 1957, competing on his street motorcycle, a 1957 500cc BSA Clubman Gold Star. At that first meet Pete finished 3rd overall and 1st Junior. 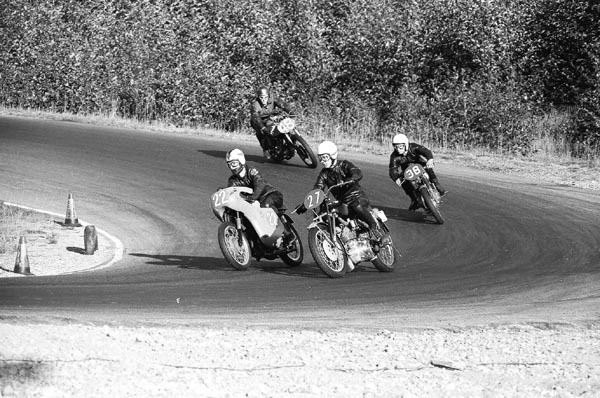 The Westwood Racing Circuit in Coquitlam, B.C. opened July 26, 1959. It was there the Sports Car Club of British Columbia (SCCBC) held its opening event which included motorcycles as a demonstration class. Pete competed on his Gold Star and again finished 3rd overall and 1st Junior. 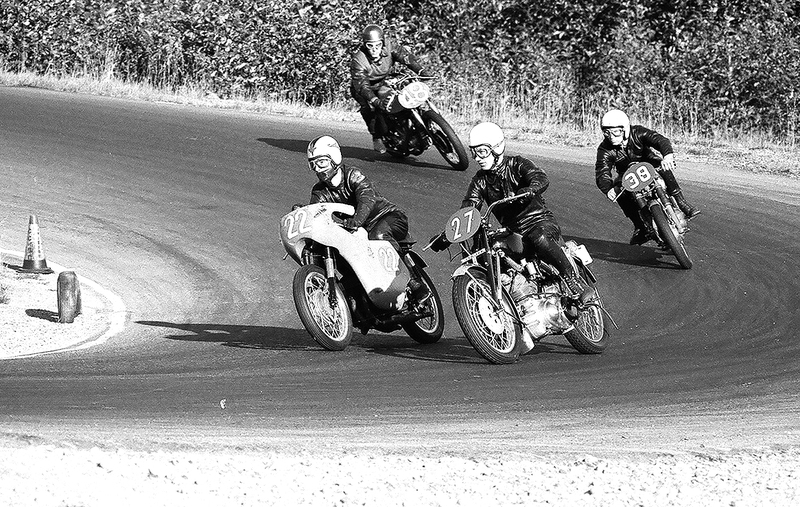 The British Columbia Motor Cycle Racing Club grew out of these competitions. 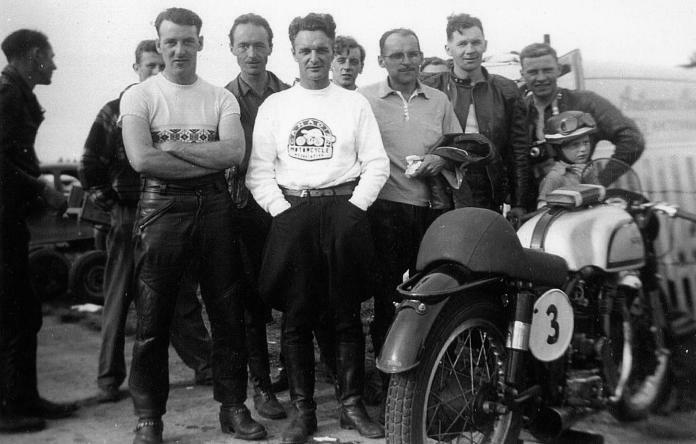 Later the name was changed to Westwood Motorcycle Racing Club and Peter Kellond served as first treasurer and eventually achieved the status of Lifetime Member. 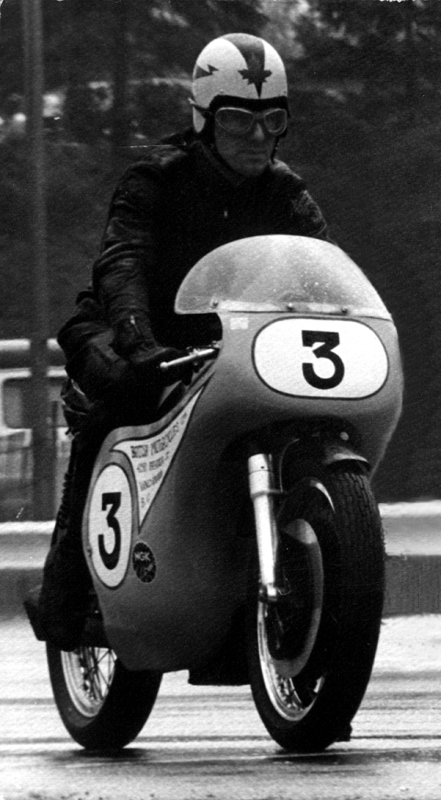 In late 1960 Pete demolished the Westwood lap record by a full 2 seconds aboard a Manx Norton. 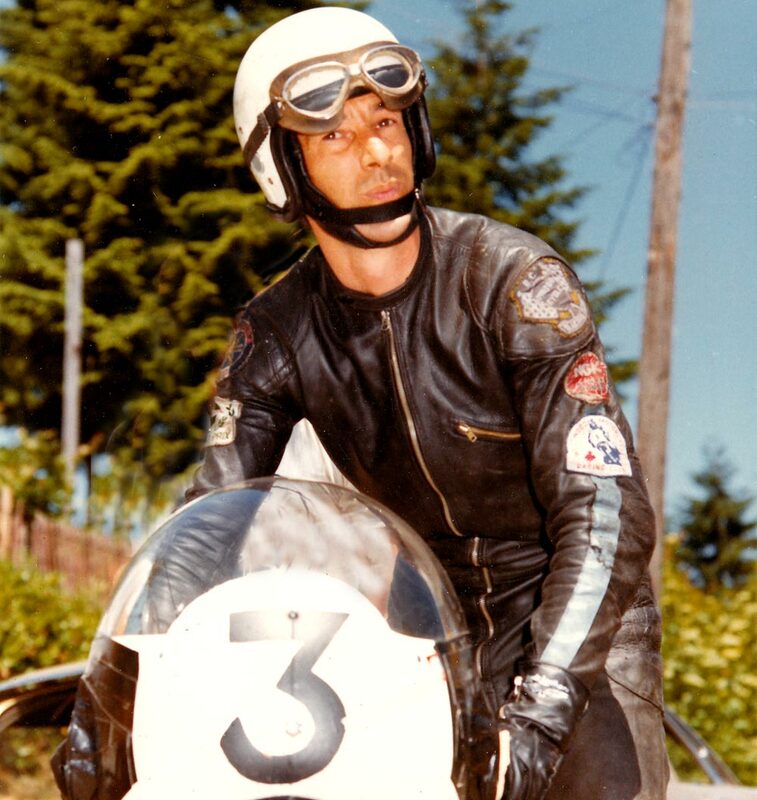 Over the next four years Peter became a local legend, establishing lap records for both the 500cc and the unlimited classes at his home track, Seattle International Raceway, and Portland International Raceway. 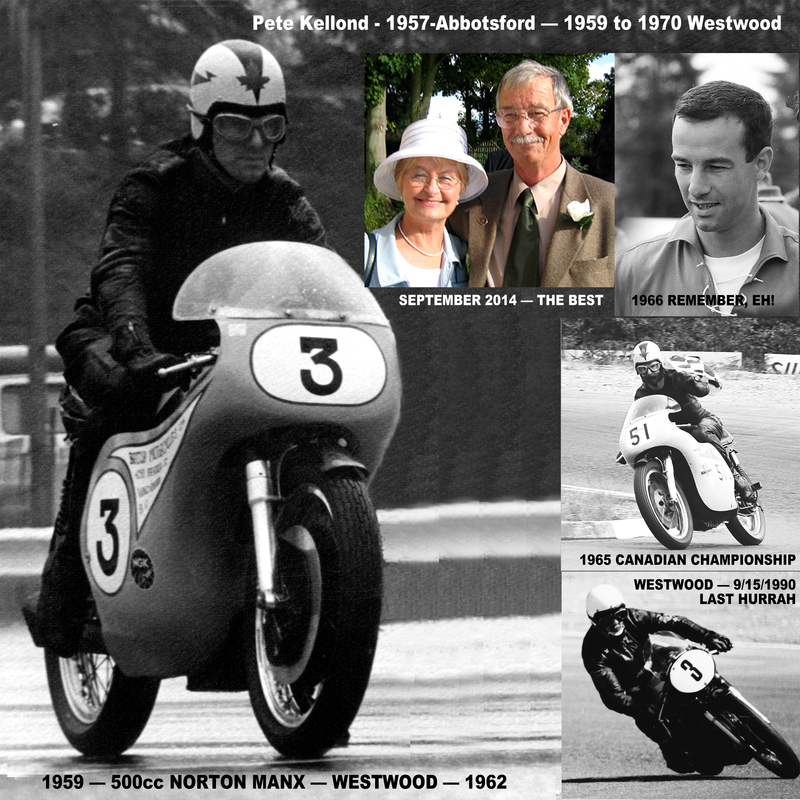 Pete held Westwood’s club championships for 500cc, 650cc and unlimited class yearly until 1964. 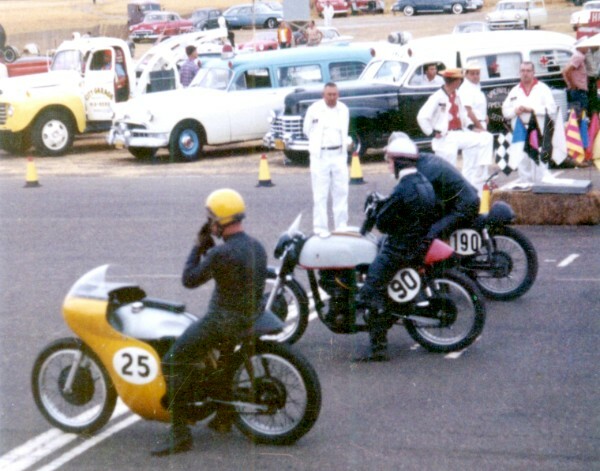 However, by late ‘65 the more modern two stroke Suzuki and Yamaha bikes and the 750cc Norton Commando proved too quick for the Manx. Pete managed to repeat the 500cc championship but it became obvious he would need to change machines to remain competitive. Pete retooled his race program in 1966 racing new Suzuki Factory 50cc TR50 and then the 250cc TR250. He still holds the lap record at Westwood for the 50cc class at 1 min. 28sec. Kellond continued to campaign the Suzukis throughout the ‘67 and ‘68 season, attempting to win the championship and set 250cc lap record along the way. It was proving very difficult to compete on the same level as the new Yamaha factory race bikes. 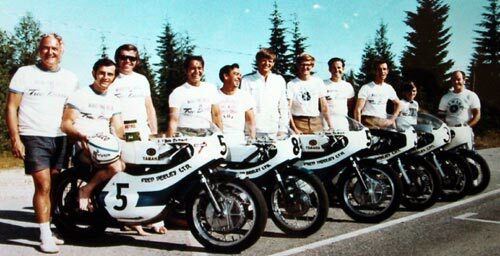 In the late 1968 Trev Deeley approached Pete to compete on the new factory TD2 250cc and TR2 350cc race bikes at Daytona. 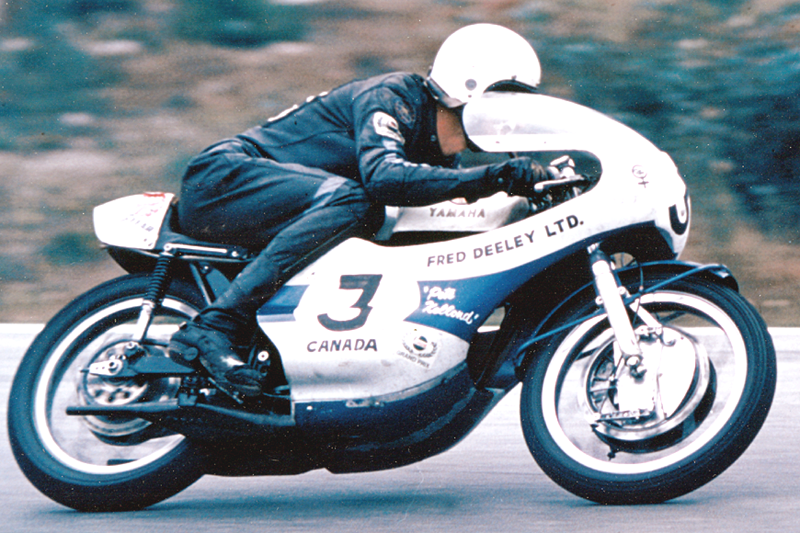 Subsequently Deeley continued to sponsor him for the 1969 Westwood race season and select US races. 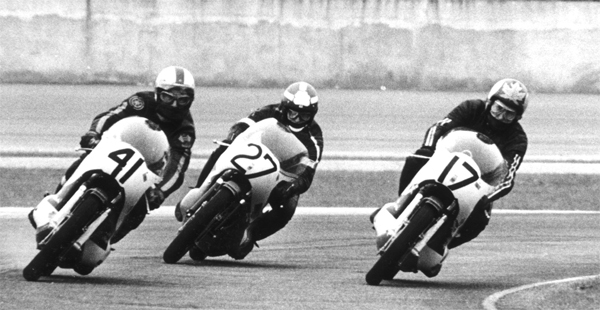 Daytona in 1969, racing the AMA 200 mile National, Pete finished 8th and then 6th in the 100 mile 250cc Combined race. In September, at the California Sears Point National, Pete finished 5th in both the 90 mile and the 125 mile events. 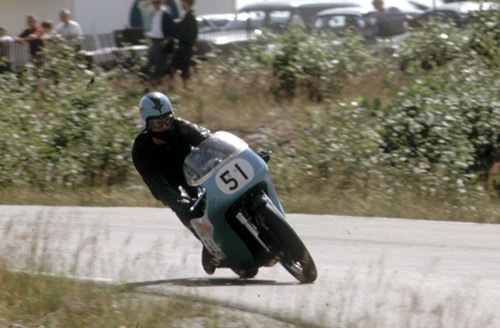 Back home Pete won the 500 cc Canadian Championship, and set lap records at almost every race many times lowering his own records in the 250cc, 350cc and the unlimited classes. During these years of competition Pete and his brother Geoff had meticulously prepared all his race bikes. Pete never suffered an engine failure during all those races, a testament to their mechanical skills. Pete officially retired at the end of 1970 undefeated but only after again lowering the Westwood lap record down to1 min 17.5 seconds, crashes notwithstanding. Twenty years later, September 15, 1990, a final exhibition was held before the permanent closer of Westwood. 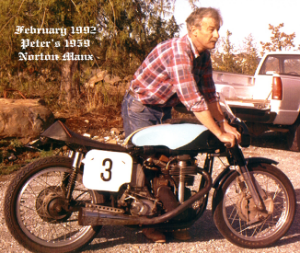 Pete raced his original 1959 Norton Manx to 1st Place in the 500 class and 3rd overall. A fitting end to a great Canadian racing career. Pete’s wife Valerie worked the switchboard at many of the motorcycle races at Westwood. 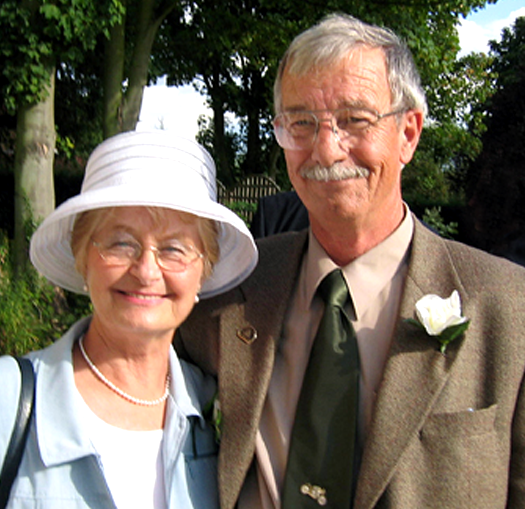 Pete and Valerie have now been married 42 plus years and live in North Saanich, B.C. Peter Kellond passed away in 2017.